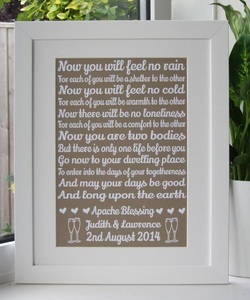 In Your Own Words offers personalised framed prints for all occasion, and all wishes. Your favorite poem, words of inspiration. Or perhaps the love you feel for a parent, husband or wife, your child or a pet. A perfect gift for yourself, or for a wedding, graduation and any other major life event. Or just because. For every occasion, and however you want it, the two sisters running In Your Own Words will create it beautifully for you. And if you order now, and mention Elpida in your order, Elpida will get 10% of the profit made! Visit their website, browse through the beautiful designs and order your print today! You can also find them on Facebook, make sure to pay their page a visit, give them the thumbs up, and share with friends and family!